Increase your ability to learn Thai with this with this cutting edge subliminal audio album. Imagine what it would be like to just be able to understand Thai - to take in information easily, and be able to speak back fluently - just imagine all the extra opportunities that would be open to you, and all the extra experiences of Thai culture you could enjoy - all if you were only able to acquire the Thai language naturally and quickly. This doesn't have to be just a dream - you really can learn Thai at a faster rate with help from this unique subliminal messaging album. While it won't teach you Thai itself it will dramatically cut your learning curve in half, and help you absorb information and learn at a much faster rate. So, it still requires that you make the effort to study and go to classes, but it re-wires your mind and changes the way you actually take the information in and helps you to learn faster and more naturally. Some people for example are brought up around different cultures and different languages and they seem naturally able to pickup a new language - it isn't a struggle for them at all, they just absorb the information effortlessly. Give you a solid belief in yourself, that you are capable of learning Thai. This simple belief is a keystone to your learning - once you really believe it and can visualize yourself speaking Thai and communicating with people fluently then your learning will really dramatically accelerate. Help you to process language based information effectively - areas you currently find difficult will just start to sink in and will just start to make sense to you. Help to boost your ability to read Thai - to increase the rate at which you can learn written text and understand it. Increase the skills required to speak Thai - you will find yourself speaking much more naturally, words just coming to you, and new information being stored properly in your memory - speaking Thai will seem a lot more natural to you. Finally this album will really motivate you more than ever. It will put an end to your procrastinating, and instill within you a real burning desire to learn, and with this new attitude towards learning Thai nothing will be able to hold you back! 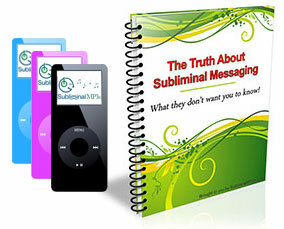 Similarly to hypnosis, subliminal messaging is a longer term process. You will see some early results, but the real (and lasting) changes will come after a few weeks of listening. Within a few days of using the album for example you will notice your learning efforts seeming much more natural, you will take in information easier, and you will have a real buzz for learning. After a couple of weeks you will really see this manifest in a more complete understanding of the Thai language, and much more competence in speaking, reading, and writing Thai. Download this album today and gain a massive advantage over your friends; learn Thai like the "naturals" and get access to a whole world of new opportunities.